I am not big football fan, I am only a geek, but If you are big football fan and you are a Geek, there is something for you. If your boss doesn’t have TV subscription. If you don’t live in UK where Worldcup is broadcasted on Internet. 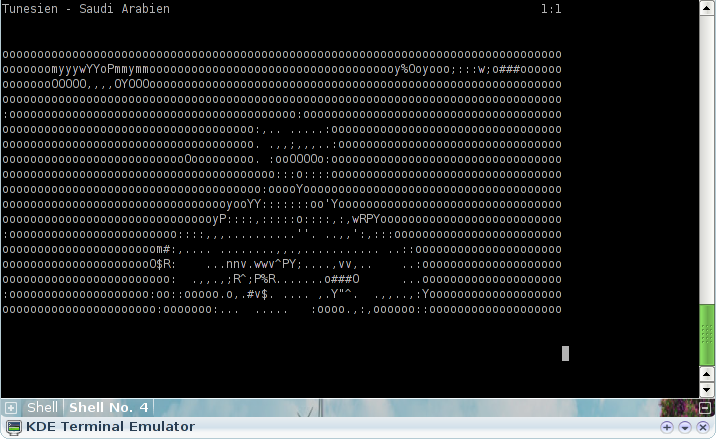 Some Austrians Geeks have made telnet broadcast in ASCII.